Devin Brown is a Lilly Scholar and a Professor of English at Asbury University. He has published with Zondervan, Eerdmans, Baker, Brazos, and Abingdon and is the author of 12 books, including the latest biography on Lewis -- which includes a Foreword written by Douglas Gresham, Lewis's stepson. Dr. Brown has been a keynote speaker at many Lewis conferences and also wrote the script for the video "Discussing Mere Christianity" produced by Zondervan and filmed in Oxford with Eric Metaxas as host. He has served as Summer Scholar-in-Residence at The Kilns where he got to sleep each night in C. S. Lewis's bedroom. He has an M.A. from the University of Florida and a PhD. from the University of South Carolina, and at both schools was the winner of a graduate fellowship. Devin lives in Lexington, Kentucky with his wife Sharon. Thank you!! We appreciate you letting us know to expect you, and we look forward to seeing you there! Having received his J.D. from Yale Law School, Matt is a member of the State Bars of Alabama and Tennessee as well as the American Bar Association. He has practiced before numerous federal district and appellate courts throughout the United States and Puerto Rico, and has spoken in several international forums, including the World Customs Organization in Brussels and the APEC 2006 Vietnam Summit. He currently serves as Associate Professor of Business Law and Ethics at Freed-Hardeman University. How do we know God gave us the Bible? How do we know we have the writings God intended for us to have? How do we know that the Bible has been accurately passed along to us? How do we know that our English Bible reflects the original text? Addressing these questions in four chapters (Inspiration of the Text, Canonization of the Text, Transmission of the Text, and Translation of the Text), Dr. Burleson thoroughly furnishes the reader with the evidence affirming that the Bible we hold in our hands is trustworthy in all respects. Is Worldview only a Buzzword? This series of lectures, delivered 12 May 2016, bring worldview into focus and give tools needed to determine which worldview is actually correct. In the classical tradition of apologetics relating to the proof for the inspiration of the Bible appeal is made to what are called external and internal evidences. External evidences are confirmatory in nature while internal evidences possess a primary significance in demonstrating the Bible to be of divine origin. . . . In harmony with the awareness of the classical apologetical distinction between external and internal evidences, and how the “science” of archaeology is relevant to apologetics through its confirmatory value, Professor Dale W. Manor and Warren Apologetics Center have partnered in the publication of this book. Dr. Manor’s expertise and scholarship in archaeology are recognized and respected by many. 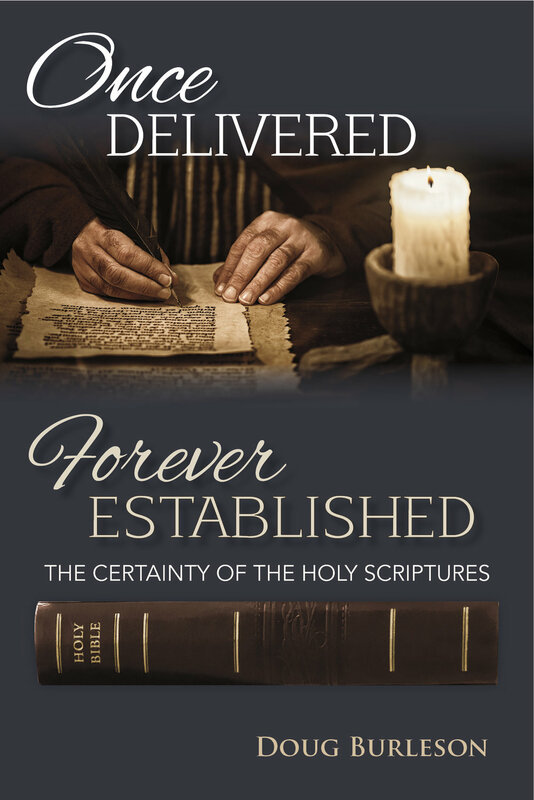 This, in conjunction with his respect for, and faith in, the biblical text evidences why we believe this book he has authored is of significant value and worthy of great circulation and careful study. This unique book reviews some of the most compelling scientific observations obtained from more than 45 years of space research and exploration. We will tour the Solar System-looking down on the planets from orbiting probes and peering out at alien landscape from rovers placed on the surface of distant worlds-and we will look through the NASA Hubble and Chandra Space Telescopes almost to the limit of the visible universe. We will then consider the creation account given in Genesis Chapter One in the light of what has been observed, together with some of the most fundamental laws of nature and current scientific theory. The results will speak for themselves, but suffice it to say at this point, that they should shed serious doubt on the present consensus of scientific thought and suggest that perhaps one should look beyond the universe itself for an explanation as to how and why it came into being. The third Annual Spring Apologetics Lectures conducted 9 May 2013. A unique opportunity to sit in on a discussion of the very propositions upon which the Christian faith stands or falls--propositions relating to the person and work of Jesus Christ. It is a high-level adversarial dialogue in both substance and spirit--the pursuit of the truth with emphasis on drawing conclusions warranted by the evidence. By Rolland W. Pack, former Professor of Philosophy and Biblical Studies at Freed-Hardeman University. Being the Second Annual Spring Apologetics Lectures held 10 May, 2012. Learning from an Encounter with Greek Moral Philosophy/Moving Back to the Knowledge of God/Insights from Heroes of Faith, plus extensive notes and bibliographical data. Early Apologists Speak to the 21st Century. Unique apologetics material. Read what writers of the 2nd & 3rd centuries believed and defended regarding Christian living, moral questions, and intellectual challenges to Christian faith.